Arkay's Premium Stainless Steel Sinks are made using 18 gauge Type 316 LC (low carbon) stainless steel - thicker, more rugged and longer lasting than standard gauge sinks. They feature 100% seamless construction with 3/4" radius coved inside corners, making them very easy to clean. The outside has 1½" wide rims and 1½" radius corners. 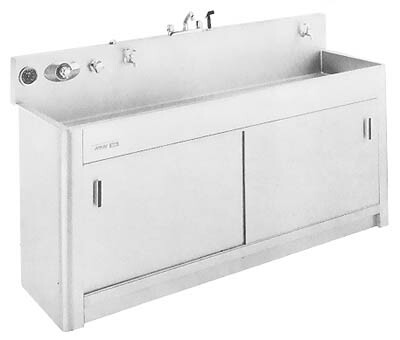 Premium Stainless Steel Sinks are available in 6" or 10" depth in standard sizes from 18"x36" to 48"x120". Custom sinks can be designed for unique or special applications. A variety of options and accessories are available to maximize the convenience and utility of Arkay sinks. © 2004-2010 KHB Photografix, an authorized Arkay dealer and service facility. The Arkay trademarks and logos are property of Regal Photo Products, Inc. All rights reserved.